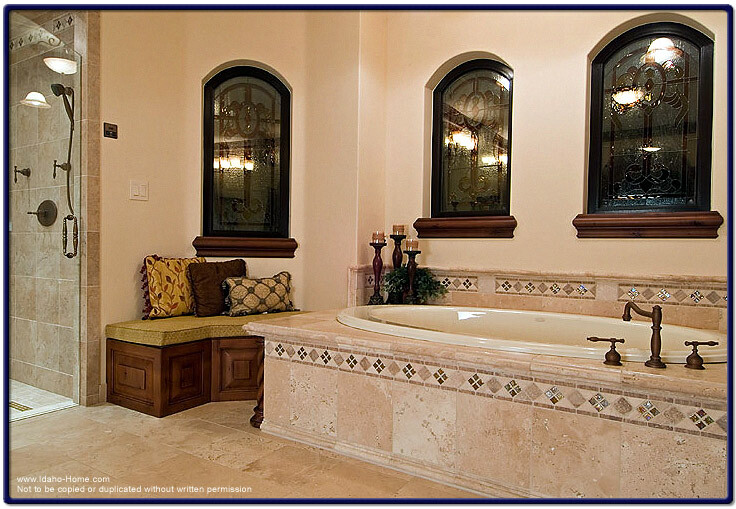 Pictured below, is a large bathroom designed in a Mediterranean style architecture. The bath itself easily fits two persons comfortably. The intricate design of small square tiles along the foundation that supports the tub, adds that Roman touch. The floor is composed of Italian Travertine tile and the windows are stained glass. To the left of the tub is an enclosed shower. The home was built in Idaho by Corey Schoenauer of One World Builders.